Contains: thirty triangles. Size range: 3/32" to 1-3/8". Size: 4"x7"x.030". 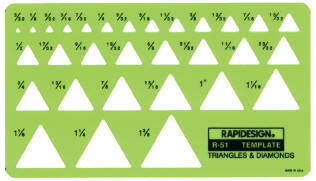 R2051: Metric Triangles & Diamonds Template - While quantities last!